HIV and AIDS remain one of the country’s biggest public health challenges. Of the approximately 57.73m people living in South Africa in 2018, an estimated 7.52m are HIV positive. In the last decade, South Africa has seen the number of new HIV infections in children come down from a peak of 70 000 in 2003 to 13 000 in 2017. This was achieved through the provision of antiretroviral therapy to pregnant and breastfeeding women living with HIV. How can you prevent mother to child transmission? It's estimated that 30% of pregnant women in South Africa have HIV. HIV is transmitted through direct contact with the blood or body fluid of someone who’s infected with the virus. Among children with HIV, most cases are due to a mother passing HIV to her baby during pregnancy or birth, or through breastfeeding. The Western Cape Department of Health offers several services to ensure that pregnant women and babies have access to HIV services, integrated with all the other aspects of perinatal care and care offered beyond 2 years of age. Pregnant women visiting clinics are routinely offered HIV testing, and if tested positive for the virus, she will start antiretroviral therapy (ART) immediately. Regular HIV Testing will be done during pregnancy and breastfeeding stages to make sure the mother who tests positive starts ART immediately to prevent transmission to the baby. If you're pregnant and suspect that you might be HIV positive, visit your local clinic as soon as possible to receive the proper care and medication you and your unborn child may need. Prophylactic treatment for the following: Prevention-of-mother-to child-transmission (PMTCT) of syphilis, hepatitis B virus (HBV) and other infections. Basic antenatal care (BANC) services, immunisation services (EPI), growth monitoring and nutrition. All pregnant women (HIV-positive, HIV-negative or with unknown HIV status) receive at least 4 antenatal counselling sessions on infant feeding. HIV testing to children at any stage if HIV infection is suspected. Antiretroviral therapy (ART) as treatment when the child is HIV positive. Support and counselling on how to administer the medicine to the child. 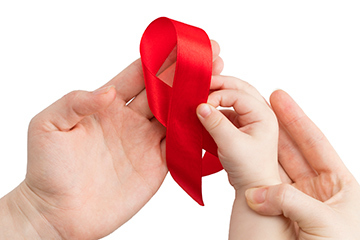 Antiretroviral therapy as prophylaxis when the child is exposed to HIV. Monitoring of viral load and CD4 counts if HIV positive. Tuberculosis (TB) screening, TB Preventative Therapy (TPT), and opportunistic infection (OI) prophylaxis. 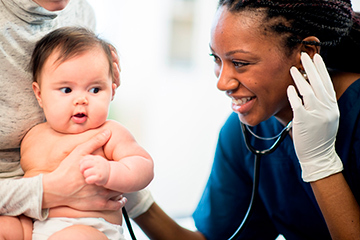 Community-based support for adherence to medicine and infant feeding support. The scope of services available for children is the same as for adults. This means the same antiretroviral therapy is available for children and adults. Most of the medicine for children is in child-friendly formulations (liquid, soluble granules, chewable tablets). Tertiary hospitals that have paediatric infectious disease units for children who require specialised care. Read more about the prevention of mother- to- child transmission of HIV (PMTCT), children, adolescents and adults in the Western Cape Consolidated Guidelines for HIV Treatment. December is Aids Awareness Month and it's an opportunity for us to unite in the fight against HIV, show support for people living with HIV and remember those who have passed away.